This simple information book uncovers the history of Stone Age people and how they lived, from their clothing and houses to monuments such as Stonehenge which still survive today. Full of facts, colourful illustrations and photographs of historical artefacts such as baked pots, tools and jewellery. 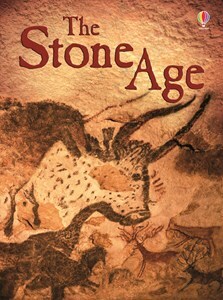 Ideal for beginner readers who prefer fact to fiction, and those studying the Stone Age at school. Internet links take readers to specially selected websites to find out more.